Consider this the grown-up version of your childhood beaded necklaces. You might be asking why you can't just string your beads together. It's easier and faster, right? There are some occasions where using this technique yields better results than if you just strung your beads together. In this case, the knots between help keep beads from rubbing together. 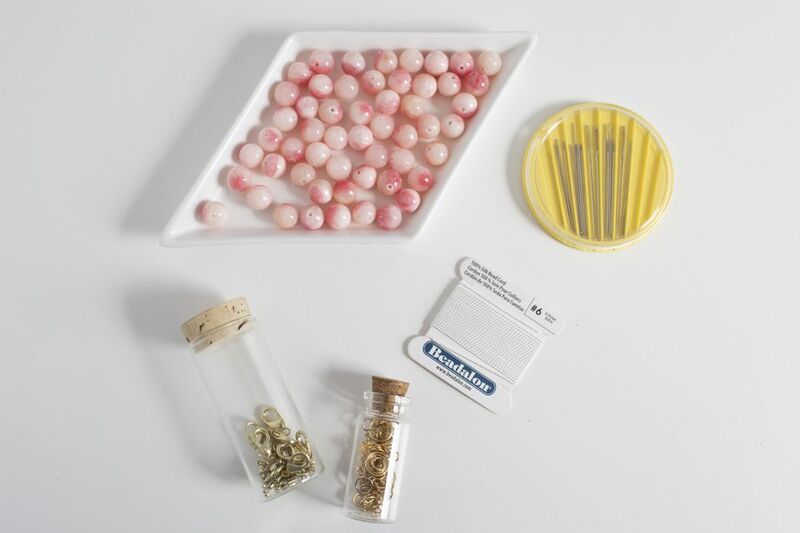 This is ideal when the beads you're using are delicate or expensive. And if the necklace ever breaks, the whole strand of beads won't come spilling off the strand. It's also helpful during the process of actually making the necklace, too. Depending on what types of beads you're using, you have to choose the correct cord. It's not super complicated, we promise! There are two types of bead cord you can use: silk or nylon. Nylon might easier if you're a beginner as it's less prone to tangling and knots. Then from there you should choose how thick you want your cord to be. This should be based on how large your bead holes are. Sounds self-explanatory, but it's a fine balance between using something too thin or too thick. If you're not quite sure, a variety pack of thicknesses might be best. Keep color in mind as well: if your beads are dark go with a darker string so it blends in more seamlessly. The same rule applies to light beads; they look better with white cord. Or if you want, you can throw the whole matchy-matchy thing right out the window and opt for contrasting colors. Cut a long length of string and thread your needle carefully. Choosing the right needle is really important—you want it to be thin enough where the needle will fit through the hole in the beads and have the eye be large enough for the cording to fit through. Add an end to the necklace like you normally would using a clasp and a clamp shell. 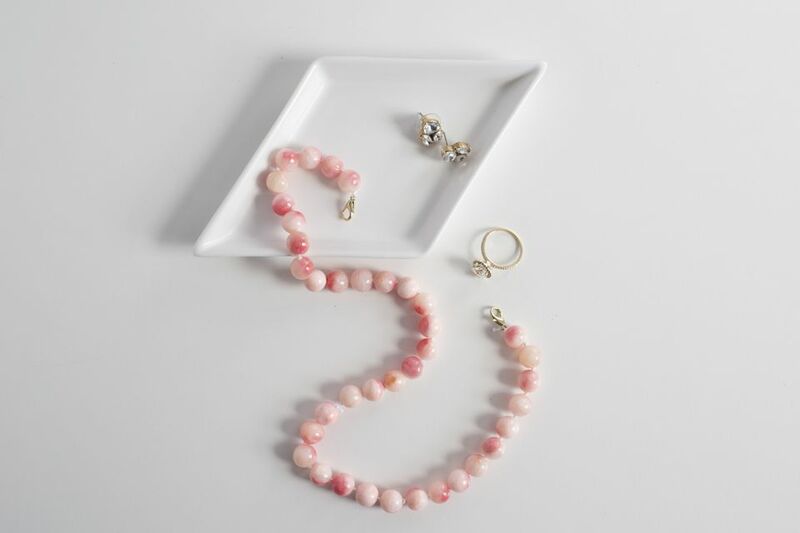 Add your first bead to the necklace. Now comes the more difficult part: making the knot in the string between beads. It's tricky because you need to get the knot as close to the bead as you possibly can. It takes a second to get the hang of it, but once you do it's easy if you use this trick. Using your needle, create a simple knot, but before you pull the string tight you're going to take your tweezers and grab the thread at the top of the bead very tightly and then pull the knot taut. It will start to close in on the tweezer, but using your fingernail you'll want to push the knot as close to the bead as you can and voilà! Now you just need to repeat that process until you're happy with the length of the necklace. It's a long process, but it can be very meditative once you get into the right rhythm. When you're done, finish the necklace as you normally would but not knotting the end of the last bead. And you're done! You have a strand that looks like it was professionally done.